Shopping for Simpsons Vinyl Figures? Homer Simpson is immortalized as a bear! Four times the size of a standard [email protected] figure! Stands 11-inches tall and features 8 points of articulation. 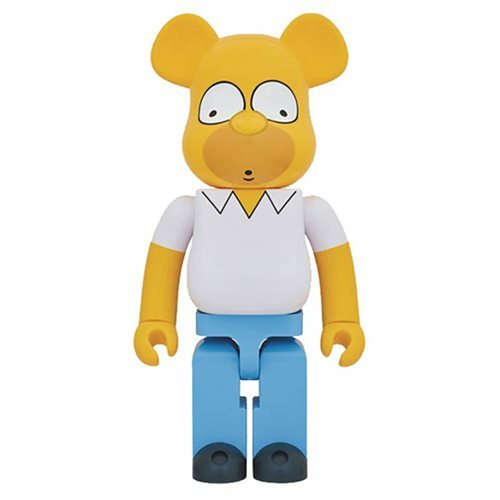 Homer Simpson is immortalized as a bear with this fantastic [email protected] release from Medicom Toy. The Simpsons Homer 400% Bearbrick Vinyl Figure stands 11-inches tall, and like all [email protected] figures, he features 8 points of articulation: swivel head, swivel waist, ball-joint arms, swivel wrists, and ball-joint legs! Check out the 100% and 1,000% versions of Homer, too (sold separately). Ages 15 and up.